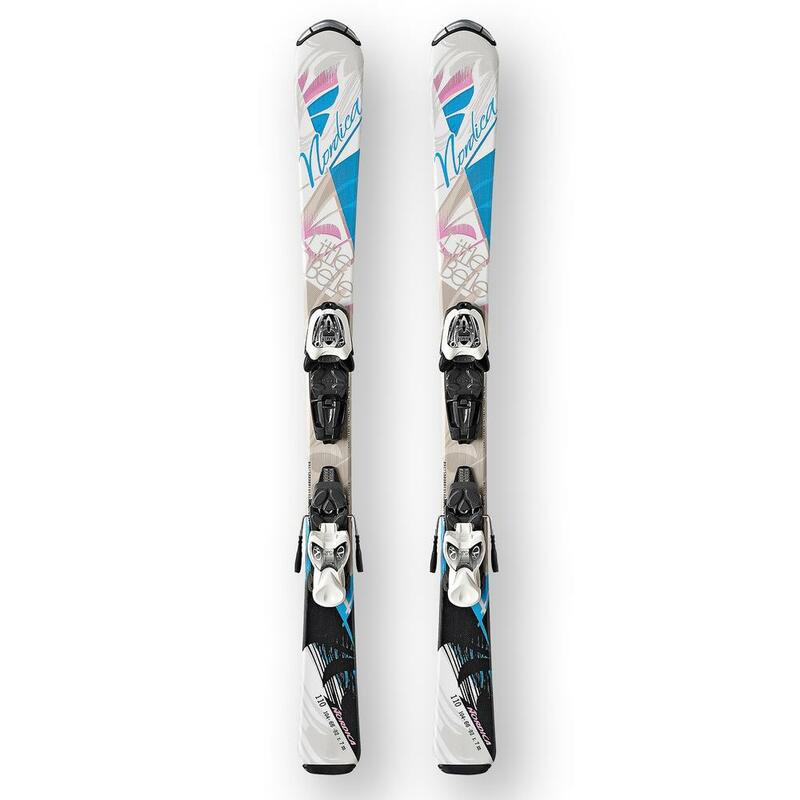 The Nordica Little Belle Ski System is an awesome confidence builder for your little one. The tip is rockered, which means it's turned up more significantly. This makes it easier to get the skis to turn, ensuring she has a fun, not frustrating, ride. The binding plate on the Little Belle Skis is integrated, so the ski better responds to the movements of lightweight skiers. All-in-all these are easy-to-use skis that are sure to build her skills.